Our 2006 Jake’s Creek is a tribute to our black Labrador Retriever, Jake Sr. Like Jake, our 2006 release has substance and character with a natural aptitude to please. It’s dense, with a sophisticated nose of blackberry, brambleberry, sweet caramel and vanilla. 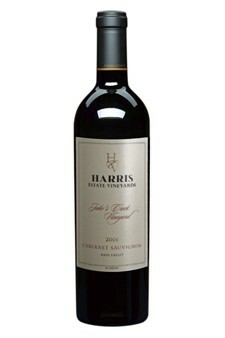 These flavors follow through on the palate with dark cherries, milk chocolate, leather and cedar. A big surprise is waiting with the last swallow in the glass – the unmistakable aroma of a Hershey bar. It’s true character is best revealed after decanting. Although it can be enjoyed now, it will benefit from one to three years of bottle aging and can be cellared for 10-15 years.